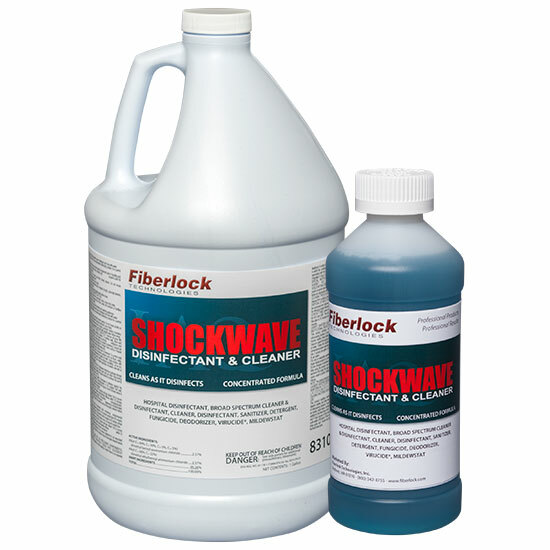 ShockWave concentrate is designed to be economical and efficient. ShockWave concentrate should be diluted with water before use. Do not use full strength. ShockWave is also available in ready-to-use. Each gallon will cover approximately 1000 square feet of surface. To disinfect or sanitize, first clean the surfaces of all contamination including mold, mildew and dirt using ShockWave. Apply a second application of ShockWave to the cleaned surface. Use enough ShockWave so that the surface will remain wet for at least 10 minutes. Your local disaster relief agencies can advise you on proper Personal Protective Equipment for flood and mold cleanup. *ALWAYS READ AND FOLLOW THE LABEL INSTRUCTIONS ON THE PRODUCT BEFORE USE.